The historic value of Cefalù, in Sicily (Southern Italy) is indisputable, as shown by its renowned popularity among visitors worldwide- not only for its unique panorama, colorful beaches and resorts which are the envy of the tourism industry – but especially for its ancient origins. Over the course of 2 ½ millennia Its diverse cross-cultural elements (that range from ancient archaic settlements to Greek, Roman, Arabic, Spanish and Northern European Norman/Gothic influences) have made this town an exotic place to discover, with its mystique accentuated by the wonderful, carefully-preserved temples and monuments, Churches and Cathedrals dating up to the period encompassing the Arab invasions and then the Norman conquest. Cefalù’s treasures also include the beautiful villas or apartments offered for rent by private owners or agencies. Its location (in the North-Eastern Coast of Sicily) is also highly convenient for travelers because it is near Palermo, Sicily’s main capital (distancing only 70 km from Cefalù), where the main airport of Sicily is located (Falcone-Borsellino/Punta Raisi’s airport). As the major travel and route destination for most tourists arriving to Sicily, Palermo is a central point from which it is easy to reach all the major sights and attractions on the mainland and around the coast, so its vicinity to Cefalù is another advantage. Renting one of the many holiday apartments or villas available in Cefalù with affordable prices for every taste is a great choice for couples, families or groups of friends because the wide selection offers luxuries that are hard to find when looking for deals in other destinations. 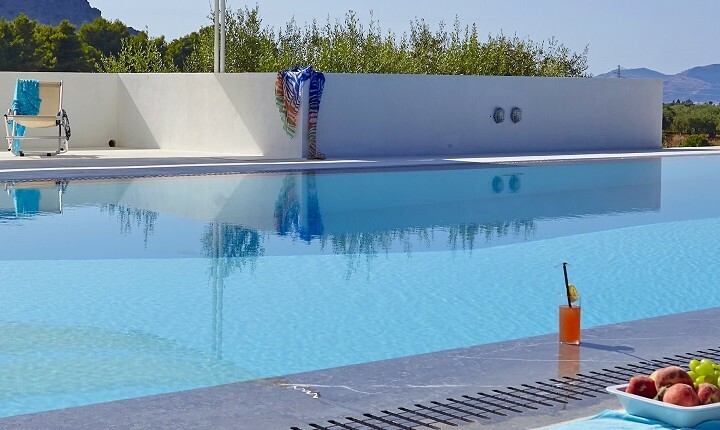 At major websites like wishsicily.com you will find villas with private pools, outdoor BBQ areas, private gardens/patios, and modern essentials such as internet connection, air-conditioner, washer/dishwasher, and more. One example is Casa Dell’ Acqua, (4 bedrooms, 9 sleeps, 3 bathrooms, pool, outdoor patio/yard, in pure Byzantine/Arabic decor): the price is X night (starting at 172 Euro) for 1 week minimum stay, and is one of the main reasons why Cefalù is the best place in Sicily to enjoy all the sights and excursions in luxury and comfort with all the conveniences of home and at affordable prices.